Over the course of the last couple of years, our community health initiatives have grown bolder and begun more direct outreach into the communities we serve. Two years ago, we began a partnership with a specialty pharmacy and are now helping to provide people living with HIV/AIDS with personalized treatment adherence plans. We are excited that this spring, our efforts have grown even stronger with the addition of Home and Community Based Services (HCBS) and a Youth Access Program. Our new HCBS program provides opportunities for Medicaid beneficiaries to receive services in their own homes, rather than in institutional settings. Our team helps targeted populations (such as people with intellectual or developmental disabilities, physical challenges and/or mental illness) in a variety of ways. We are helping them to gain and develop skills in communication, domestic arts, health care, socialization and understanding how to access community resources. We help people with disabilities identify and develop roles in the community with regard to living, learning, working and/or participating in social environments. Peers are helping to develop empowerment services, using trauma-informed, non-clinical help to achieve long term recovery from substance use and mental health issues. Our team helps to identify opportunities for face to face services, advocacy, appropriate community programs and interim home visits after hospitalization. YAP offers a range of programs: comprehensive mobile medical services for young MSM/TG of color who are Medicaid eligible, regardless of insurance; empowerment services and peer support, particularly in assistance to HIV education, assistance to linkage, advocacy and treatment, and increased awareness of community medical and supportive services. We offer monthly education workshops such as HIV 101, Youth Vulnerability to HIV, Myths and Realities and more. We offer assessments and referrals for Pre-Exposure Prophylaxis (PrEP) and Post-Exposure Prophylaxis (PEP), and rapid HIV, Hepatitis C and STI Testing and Treatment. 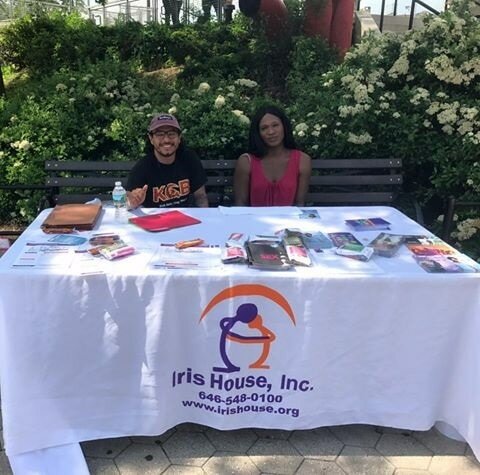 Additionally, Iris House is presenting a series of Community Dinner Workshops with Gilead Sciences in Manhattan, the Bronx, Queens and New Jersey on a rotation of HIV related topics, including monthly sessions in Spanish. More information on those dinners can be found by following us on Facebook.